Customer Negotiation & Bargaining on your WooCommerce Store! 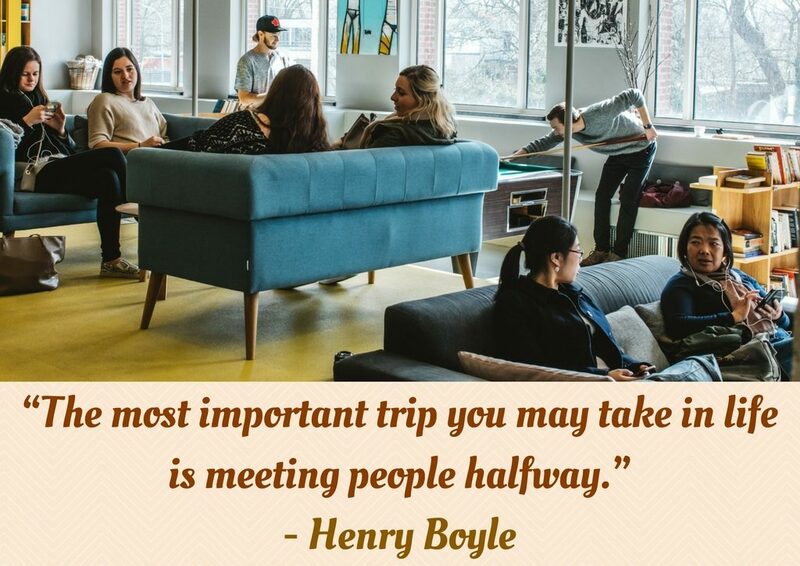 Henry Boyle once said, “The most important trip you may take in life is meeting people halfway.” And that statement holds true not only in personal facets of life, but also, in the professional. Negotiation has been an integral part of business since the first trade in the world began. One can easily imagine traders of the Indus Valley Civilization fiercely bartering over their wares! Over the years it underwent a lot of changes, but a few core traits remained the same. Yes, we are talking about customer negotiation. Given our incurable impulse for bargaining, it is no wonder that people miss the chance to negotiate for their purchases with their virtual sellers today. I can see all my fellow e-store owners getting defensive here, but hang on. Hear me out. Having been through this stage, I would like to tell you why customer negotiation is not only necessary for your WooCommerce store, but also helps to boost your sales. Simply speaking, letting your customers have some bargaining power has a lot of advantages for your eCommerce store. Earning customer trust is a difficult job in the best of circumstances. These days, customers are kittle-cattle and the extreme competition in the market does you no favors. In such a scenario, having some way to really connect to your audience can go a long way in building customer trust. This is where customer negotiation comes in. Giving your potential leads a chance to discuss their requirements with you beforehand. Following which you can draw up a customized quote request for them and build a solid foundation for customer trust. This is stronger than a robotic business transaction. If you have a steady base of loyal customers who swear by your store, kudos to your customer loyalty programme. Count yourself one of the fortunate ones. Generating and retaining customer loyalty takes a lot of effort and a lot of customer trust. There are several factors that you can leverage to earn customer trust. It could be great customer service, efficient product management, timely delivery, etc. However, to earn customer loyalty, these are not enough by themselves. Loyalty begins when your customers start feeling that they are privileged. Tailor-made discounts, an exclusive offer, or an opportunity to negotiate for a product they have had in their wishlist for a long long time. These can be your tickets to earning customer loyalty and ensuring that they stay for a lifetime. You could head here to read more on this topic. One of the most critical reasons why customers switch vendors is the lack of communication from the existing seller. It is important to listen to your customers and let them know that you are doing so! Opening up your channels for customer negotiation is a great way of doing just that. It gives you and the customer an opportunity to talk freely and thereby agree upon a mutually satisfactory deal. This make for better sales and also earns you points in the buyer’s ‘Trusted Vendor’ list! Quite a few e-store owners incorrectly assume that buyers want everything to be cheap as dirt. People like discounts, yes, but they value quality more. You need to gauge the customer’s willingness to pay before you pitch a price to the customer. The buyer could be ready to pay as much or more than what you expected, provided they are convinced of the quality of the product. Negotiating with your customers raises quite a few questions. Do they require the product urgently? Do they consider the price to be fair? Are they willing to pay more or less? These factors influence their Willingness To Pay. Business gurus say that you need to price your products such that you make a decent profit margin, even after negotiation. However, developing this pricing strategy is a gradual process. You could price your products in a similar manner as your competitors. Although that just makes you another average player in the field. On the other hand, if you offer customers a negotiable price range for selected products, it would make them that much more inclined to shop with you. They know they can get a better deal than what your competitors are offering. Another advantage is that, if you keep a track of the average price negotiated for a product over a period of time, you can get an idea of whether the price range is working for the product. Eventually, this strategy can be extended to all your other products as well! Phew! That was quite a mouthful, eh? This was just the first part though; we’ve still got to see how efficient customer negotiation can help boost your sales. I won’t give you a long-winded list this time though. Let’s read an anecdote instead. Why is a Customer Negotiation System a Game Changer for Revenue? Recently, one of my friends, who is into the party planning biz, told me of the huge difference an organized customer negotiation system made in her business funnel. Like every other aspiring entrepreneur, she started off with the ideal process in her head. Clients would approach, she would pitch a quote, they would whittle it to something mutually reasonable, and then the project would go forward. After about a year in the industry though, she realized that the whole email-trail thing was a nightmare to keep track of. People would send multiple emails, refer to attachments in a separate trial, or ask for an old quote if they thought it was better than the current one. All in all, she had to trawl through a great deal of data to find the appropriate quote communicated to the client and respond to it accordingly. Another problem was, a lot of her discussions with clients took place over calls. Keeping a record of all the details of these conversations took up a lot of energy and effort. She also ended up missing quite a few leads when she was unable to attend calls, or skipped an email. Finally she decided to scrap negotiating with her customers via email. She simply set up an enquiry and quotation system. Life became much easier. With a singular tracking module for every client, the customer negotiation system helped her reduce the time wasted in searching for multiple emails. It became easier to stay abreast of client requirements and customize her quote requests accordingly. Her clients too, were a lot happier with the revamped enquiry module as it gave them a single point of reference as well. Needless to say, that made a significant difference in her revenue figures and provided her with a lot more time for business expansion! The long and short of it is, I’ve found that customer negotiation plays an instrumental part in helping the growth of your business. Your trustability gets a sizeable boost when people know you are ready to discuss the details of a deal and even give advice if necessary. As a WooCommerce store owner, having an enquiry and quotation system can be especially beneficial for retail as well as wholesale vendors. Not only does it give you an opportunity to address queries and quotes with ease, but it also lets you buyers know that your business vision coincides with their own!